A nutritional supplement for deer in their native habitat. 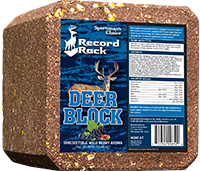 Feed to deer in their native habitat as a supplement to their natural diet. Consumption will vary according to the natural food supply, the season and the animal’s needs and condition.